One of my favorite marketing coaches is John Jantch with DuctTape Marketing. He commonly refers to marketing as a game. John says, “If marketing seems hard to you, why not turn it into a game, with rules, and a way to win.” There are rules to follow. But part of the game is identifying those rules, building your strategy, and enjoying the process. The rewards you will get from the next 30 days may be some of the biggest you have ever received. I look forward to going on this journey with you. Social media is any tool that lets you share information and network with others. Common tools are: blogs, micro-blogs, social networks, video sharing, photo sharing, chat rooms, podcasts, virtual worlds, Wikis, and mobile communication. Many times, social media allows you to create and co-create value with others, creating a synergy that your competition cannot touch. Facebook has 175 million active users. More than 3 billion minutes are spent on Facebook worldwide each day. 1.3 billion Tweets on Twitter to date. Twitter is more that it appears. 30 million professionals rely on LinkedIn to build a valuable business network. I Am Going to Add New Tools to Your Marketing Tool Box – Social Tools. Some of these tools you will use often, others you may never use again. Some of the tools will get your juices flowing, and others may not make any sense at all yet. Social media may be new for some of you. That is alright. All I ask is that you try each tool – each day. See how it works. Don’t give up. Many of the tools we are going to talk about can make a significant impact in your business. They can help you create new revenue streams, increase customer satisfaction and retention, and many won’t cost you a dime – except for your time. I love your first paragraph about making marketing into a game. Years ago when I mastered the art of Search Engine Optimization, this is EXACTLY how I did it. I found it exciting and fun to research, read, and experiment on what would work. As I became good at it, I challenged myself for better, and better results. It became so fun to see the results of my hard work pay off for our clients. 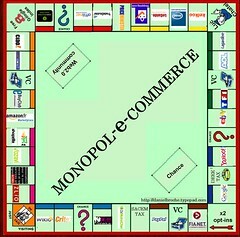 Now with social media, I see the game of online marketing starting over with some new rules- but just as fun. Plus, my knowledge of SEO helps as a foundation to how I approach social marketing strategies. It’s so fun to see Google LOVE social marketing strategies and reward website with immediate indexing, tons of traffic, and more. If this sounds exciting to you, I really encourage you to have fun with Steve as he journeys through all the newest tools to grow your business. Besure to comment your observations, results, etc so we can celebrate with you. That’s the best part of this “game”.